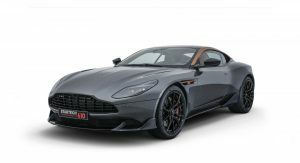 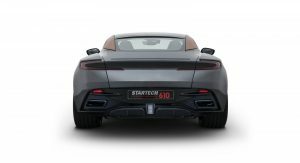 Want a new Aston Martin DB11? 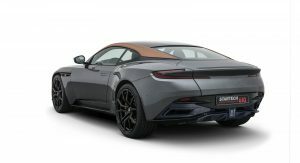 You’ll have to choose between the eight- and twelve-cylinder models. 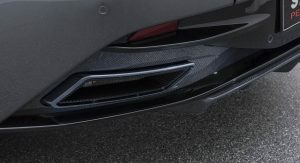 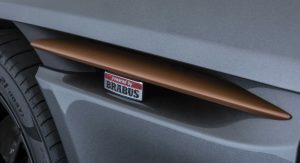 But Brabus, with its famously unquenchable thirst for power, just might have made your decision easier. 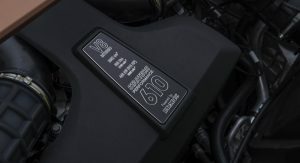 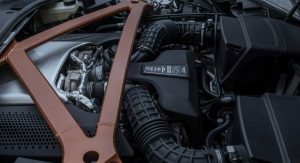 Harnessing its expertise with Mercedes engines, Brabus and its Startech division have boosted the output from the AMG-sourced 4.0-liter twin-turbo V8 to an impressive 610 horsepower (448 kW) and 590 lb-ft (800 Nm) of torque. 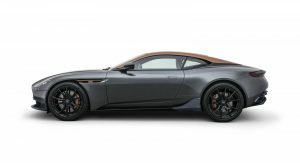 That’s not just more than the 503 hp (375 kW) and 498 lb-ft (675 Nm) in the standard V8, but considerably more than the 600 hp (447 kW) and 516 lb-ft (700 Nm) boasted by the V12 model. 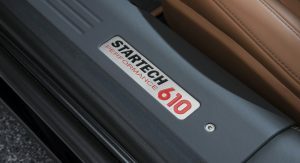 With that much power and twist channeled to the rear wheels though an eight-speed automatic transmission, the German tuner says its take on the exquisite British GT – dubbed SP610 – will rocket from 0 to 62 miles per hour (100 km/h) in just 3.8 seconds and top out at a very Brabus-like 193 mph (310 km/h). 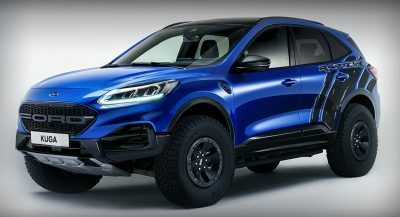 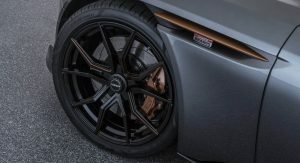 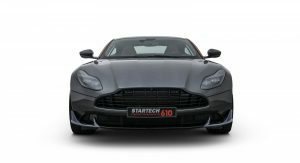 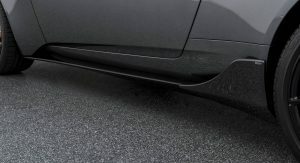 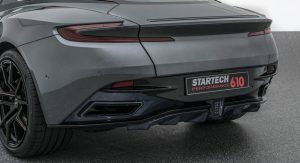 Along with the Brabus-tuned engine, Startech is offering its own new set of 21-inch wheels, along with a full aero kit made from carbon fiber and available in gloss or matte finishes. 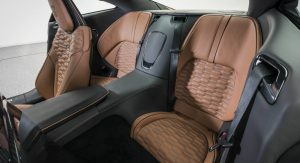 It also offers copious interior upgrades – you know, in case the “standard” cabin environment fitted by the craftsmen in Gaydon doesn’t prove sufficiently luxurious for your tastes. 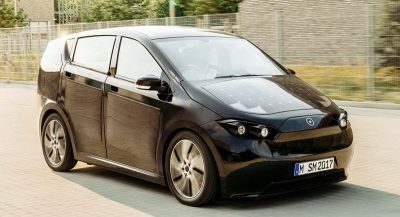 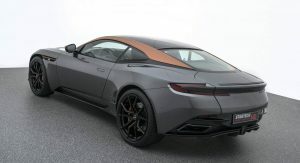 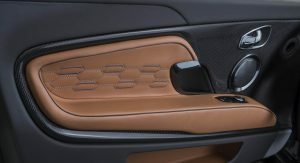 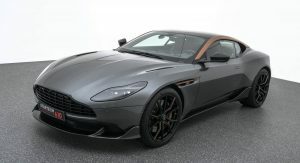 This show car, for example, features a two-tone beige and gray leather interior with carbon-fiber trim, and a rather striking copper-tone roof and trim pieces contrasting with the dark gray bodywork. 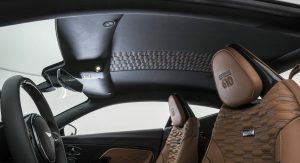 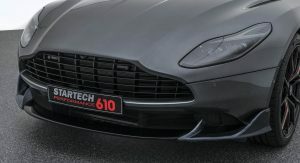 Look for the enhanced DB11 to feature on Brabus’ show stand at the Geneva Motor Show this week, alongside a full array of other Brabus- and Startech-enhanced vehicles. 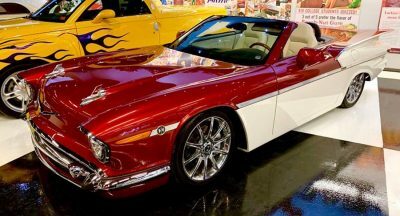 Subtle and elegant, loved it.